Merging loops has been a common request and now it is here! There are a few things to know before performing this action. First, this action can not be undone. 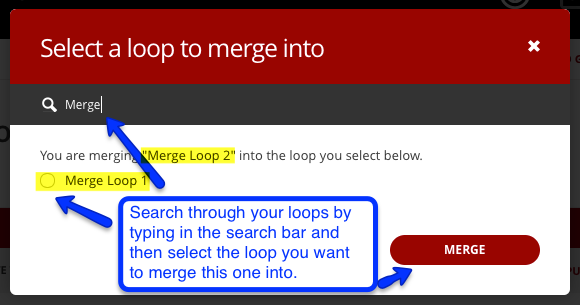 Second you may have an issue with merging two loops when you have documents that are waiting to be signed. 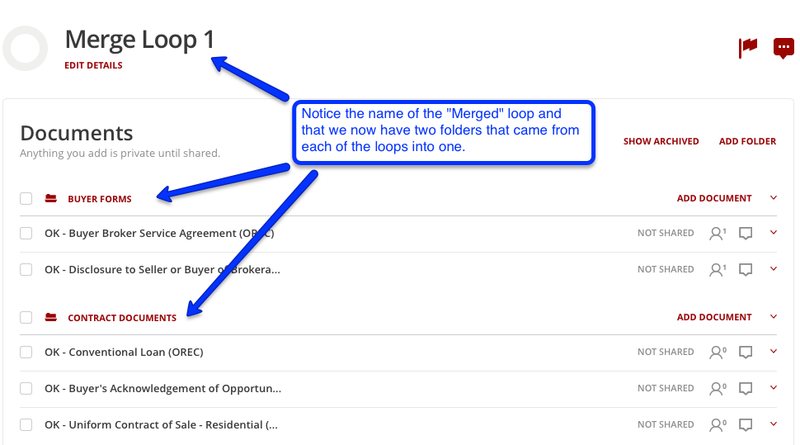 That being said, this can be very useful when you are the listing agent and a selling agent creates a new loop and shares documents to the listing side. The listing side will end out with 2 loops. This is when you want to merge loops together. Another use for this is if you are trying to clean things up and want to put all of your “test” loops or “unaccepted” offers together. From an office perspective this can be used to combine loops on the admin side when you have two agents in the same office working together so you can have all of the “office” or “admin” files in the same loop. Compliance people are usually very excited about this so they are not looking in more than one place for forms and documents needed. So here is how you do it! Go into the loop that is the “secondary” or loop that has the name that you do not want to keep. Once in the loop, click on “Edit Details” under the loop name. Scroll all the way down to the bottom left corner where you see the “Merge” button. 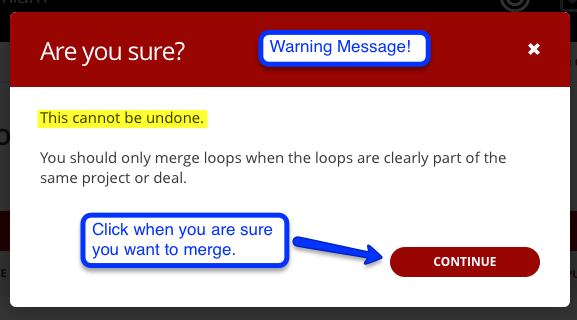 Click on the “Merge” and it will open a window and ask you which loop you want to merge it with. The loop you choose and the click “Merge” will then be the loop name when they are combined. That’s it! One thing to note is that the folders in each loop will remain and if there isa folder in one and not in the other, the system will add the new folder. For Example if one of your loops has a folder named “Buyer Forms” and the other loop has a folder named “Contract Documents”, then the combined loop will now have 2 folders: “Buyer Forms” and “Contract Documents”. Now you have a new larger loop combined into ONE. Hope you learned something from “It’s Worth a Merge”. Come back for more tips and tricks later.